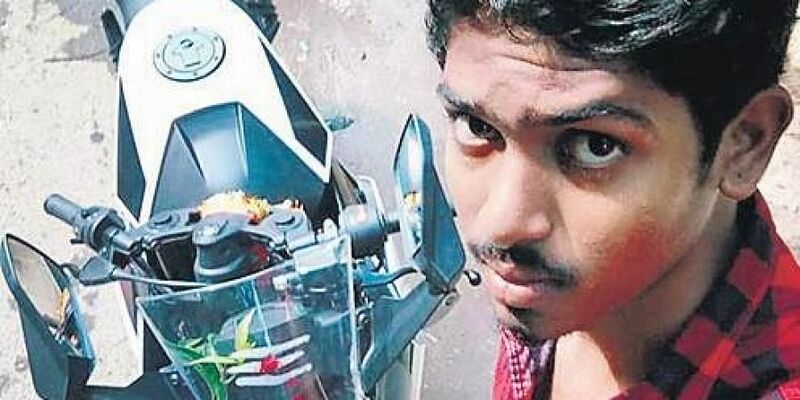 CHENNAI: In a tragic accident, a Class-12 student riding a high-end motorbike was hit by another two-wheeler and mowed down by an MTC bus, barely 200 metres away from his house, on Wednesday. The teenager did not have a driving licence. Cops have nabbed the bus driver and launched a hunt for the other motorist. This is the third incident in the last 12 days in which an MTC bus is involved in a fatal accident. 18-year-old A Alagu Sundaram is a resident of MMDA Colony, P-Block. He was studying Class-12 in a private school near his home. At around 8.15 am Wednesday morning, Alagu stepped out to draw cash from ATM to pay his school fees. When Alagu, on his bike, reached the MGR Street-MMDA Colony main road junction, a motorbike coming on the wrong side brushed past Alagu’s bike. “Before Alagu could recover, a speeding MTC bus knocked down his vehicle,” said a relative waiting outside the mortuary. Alagu was flung off the bike and his head came under the wheels, killing him instantly. Both the bus driver and the other biker fled from the spot. His body was taken to the Kilpauk Medical College and Hospital, said a traffic investigation police officer. The Anna Nagar police have registered a case and arrested the driver of the 15G bus, Kumar. The victim, police say, was not wearing helmet. “Alagu was a State-level chess champion. He used to travel often to Delhi and Kolkata for competitions,” said his class teacher, while waiting outside the mortuary. Alagu’s father Amuthan, a native of Karaikudi, runs a hotel in the MMDA Colony. “We celebrated his 18th birthday just a month back,” says an inconsolable Amuthan. Alagu’s classmates recall that he had asked them to wait near the bus stop. He wanted to walk along with them to the school. Police officials also claimed that the bus driver was not the only one at fault. Alagu was also speeding, and the other biker had come on the wrong side. If one of the three had followed the law, a life would not have been lost.